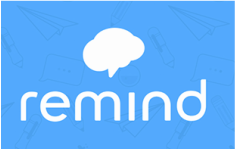 Like us on Facebook, Follow us on Twitter and Subscribe to important updates on Remind. If you have trouble accessing anything on our website, please contact the school at (406) 281-6216. We are happy to provide anything you need. We hope you find this website useful in our attempt to keep you informed and connected. Please take a moment to check out our Partners in Education. Without their continued support we wouldn't be able to do what we do at Orchard Elementary. It takes the support of a whole community to educate our children. If you have any questions or comments, please contact us using the form below. We will get back to you as soon as we can.